When prominent Australian investigative journalist Margo Kingston heard Tony Abbott say the AWU slush fund issue was all about Julia Gillard’s character, she couldn’t have been more surprised. 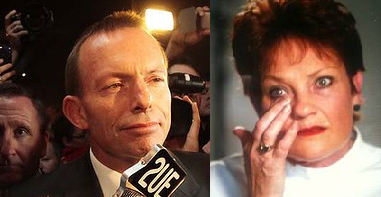 My mouth fell open when I heard Abbott's final flourish in Thursday's speech denouncing Gillard as unfit for office. I remembered, suddenly, vividly, Tony Abbott’s very own slush fund. Could he too have forgotten? ‘I spoke with one of Australia’s leading electoral lawyers who assured me that the trust would not be covered by disclosure provisions.’The AEC took him at his word and closed the file until forced to reopen it in 2003.